In forming relationships, Tauruses are characterized by a high commitment and aspiration to stability. They are able with great determination and commitment to make all attempts for the family so there was nothing missing. 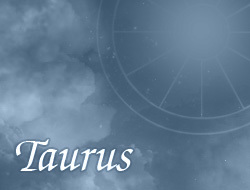 Tauruses very tenderly care for their family members, giving them a lot of warm and favoring them with love. They can empathize with problems of others and to understand them in heavy situations, many times providing helping hand. From their partner they expect sincerity, confidence and involvement in building a happy and successful relationship. Sometimes they need more romantic moments, not to say adventures which will help to cheer it up. They aren't very fond of feeling boredom – sometimes hope that their partner will be an eloquent and funny person, who always can surprise with something interesting. However, they can always surprise partners with original approach towards the life.